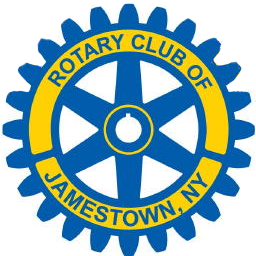 Please join us for the 5th Annual Fire & Ice Ball sponsored by The Rotary Club of Jamestown. Ball tickets can be purchased for $60/person and will include dinner, dancing and music by the Fan Favorite Porcelain Bus Drivers!!! This year your first drink is on us! 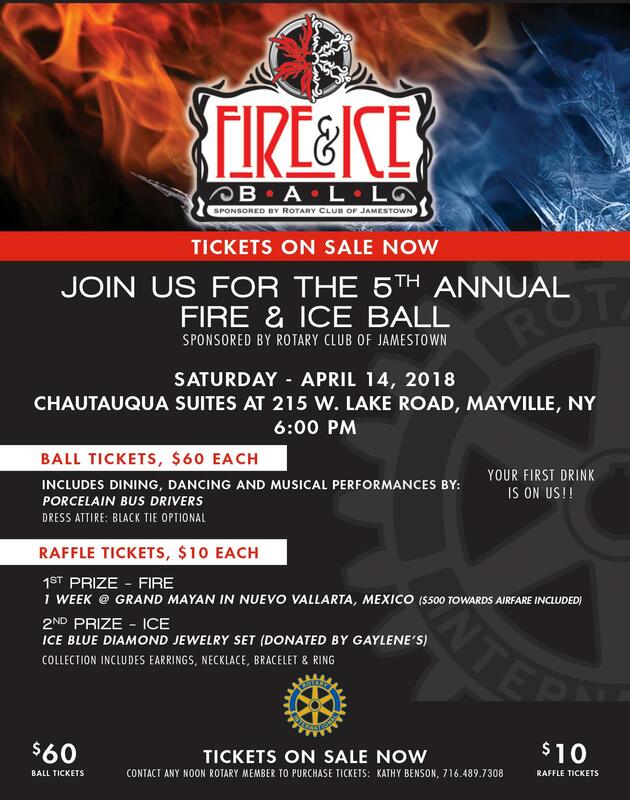 Tickets can be purchased from any Noon Rotarian member or by calling Kathy Benson at 716-489-7308. You can also purchase separate raffle tickets for $10/ticket. The 1st place prize is a 1 week stay at the beautiful Grand Mayan in Nuevo Vallarta, Mexico ($500 towards airfare will also be included)! The suite includes 2 bedrooms, over 1,200 sq. ft. and occupancy of 6 adults and 2 children! The 2nd place prize is a gorgeous Ice Blue Diamond Jewelry set donated by Gaylene’s! This annual fundraiser supports both local and international projects.